Something exciting happened in our family. I have a new cousin. But she’s not a newborn. Not even close. I don’t have to preach to this blog’s audience about the pervasiveness of infertility. I don’t have to tell you about the thousands upon thousands of childless couples suffering in silence. I think that now in the blogging age, things are a little different, and more open. But even in this open, tell-all climate of oversharing, some of the blogs I follow remain anonymous. There’s still a stigma surrounding infertility. I would imagine that ten or twenty years ago it was even worse. I found out that my aunt and uncle wanted to have kids and couldn’t many years after they had probably stopped trying. Anyone could see that they would make excellent parents. Back when I was young and much more self-absorbed, I didn’t spend too much time wondering why they never had children. It was only after my mom told me about it that it all started to make sense. And it made me so, so sad. I don’t need to go into the details of their struggle, nor could I, because I don’t even know the half of it. But what do the specifics of dates and treatments really matter, anyway? We all know the story. Many of us lived it, or some version. Try. Fail. Try again. Spend money. Spend more money. Cry. Cry again. Keep hoping. Give up hope. My uncle and I never sat down and had a heart to heart when I opened up about our struggle to get pregnant, but we did discuss it a little bit. I remember complaining over the exorbitant cost of Bravelle and he laughed quietly. “Is that all? It used to cost ten times that much,” he said. And yeah, then I felt bad for complaining. It brings joy to my heart when I think about how many of us have made it through to the other side. I started blogging about infertility in late 2012. As of now, every single infertility blogger who I followed through the years is now a parent through fertility treatments, adoption, luck, or some combination of those things. Many of them stopped blogging or don’t blog very often because they’re so busy parenting that they don’t have time to write anymore. That’s amazing. I hate that, because I don’t have as many blogs to read, and I LOVE that, because it’s awesome. Her name is Paula and she is 12 years old. Paula is an abandoned child who has been living in an orphanage in Colombia. She will be staying with us this summer through the Kidsave Summer Miracles program. Kidsave is a nonprofit organization that attempts to find families for children who have been deemed “unadoptable.” Usually, children are deemed unadoptable when they reach the age of 11 or 12. Paula will be living with us from June 27 until August 3. Each weekend, we will take Paula to a special “Kidsave event.” At these events, Paula will be introduced to families that are interested in adopting her. These are in a sort of speed-dating format. Paula is a very nice little girl who is very shy, lacks confidence and is in need of some encouragement. She seems to have talent in both art and music. Anyway, I knew she’d be accepted and loved from the moment she appeared on the scene. 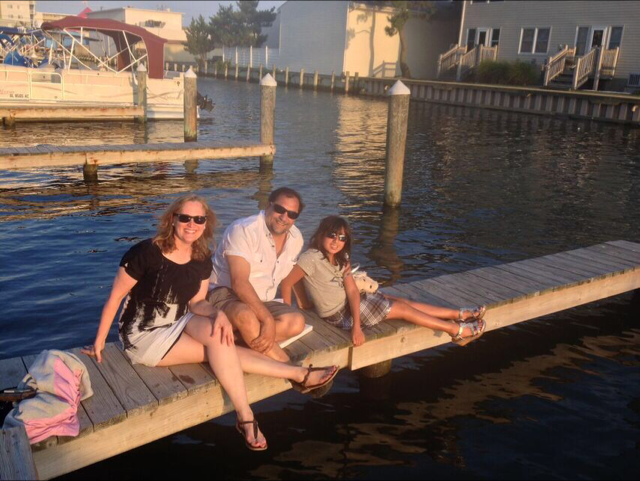 I met Paula at my parents’ 4th of July party in 2015, and then spent the week with her (and approximately 40 of my extended family members) when we went on our annual beach vacation. We couldn’t communicate much beyond “Hello” (she only speaks Spanish, and once again my 5 years of honors French proved utterly useless), but she was always smiling, taking everyone and everything in. My then 10-year-old sister Allie and 13-year-old cousin Kate adopted her into their pre-teen girl gang (Lord help us all). There were dance parties. There was fun. And just as I expected, Paula fit in as easily as anyone else who has ever accidentally or purposefully been initiated into my family. She left a short time later, and I think we were all secretly wondering if my aunt and uncle would want to adopt her themselves. 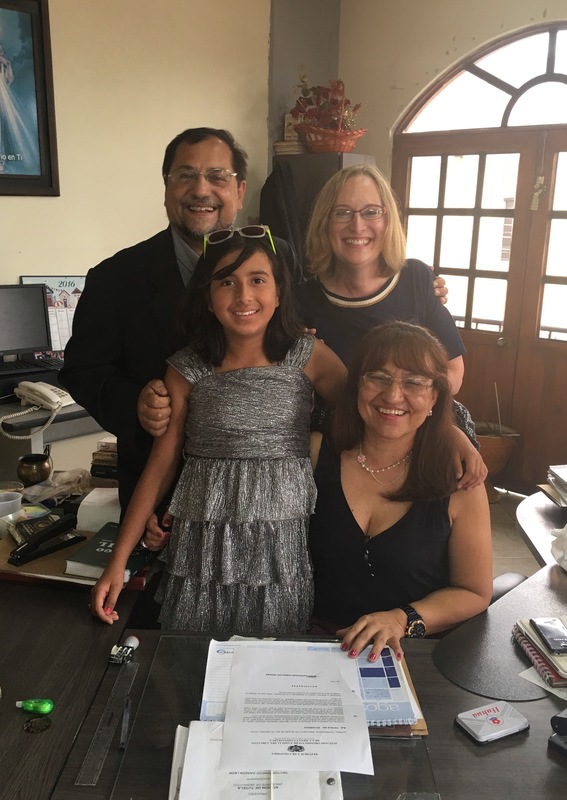 In late November, we had our answer— they announced that they had sent their letter of intent to the Colombian child welfare agency, stating that they wanted to adopt a specific child. I can’t believe how long the adoption process takes. I can’t imagine how expensive, and nerve racking, and exciting it must have been for all those months between November and now. They had to skip our family ski trip in March because they assumed (correctly) that any and all vacation time would be spent in Colombia, where they’d need to run around for many weeks cutting through all the red tape. We were hoping they’d make it to the beach trip, which grew to 50 people this year, but they ended up missing it by a matter of days. You know what? It’s OK, because all three of them will be there next year. Everyone is home now. I officially have a new cousin. I did ask permission to tell the story here because I wasn’t sure how they felt about having their story broadcast to the world (not that millions of people read my blog, but you know what I mean). I was just so excited to share it, especially with people who “get it,” and I hope that by this point you are smiling. Smiling because it’s never too late. Never too late to become a parent if that’s what you really want. I’m smiling because I was at a family party last weekend, and I’ve never seen my aunt and uncle so happy. Paula looked pretty happy, too. I still can’t understand a word she’s saying, but I hugged her and she kissed my fat baby and squeezed his chubby cheeks, which is something that supersedes any kind of language barrier. Sometimes, at the end of a long road, there is redemption.